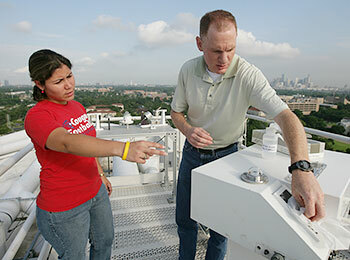 The Earth and Atmospheric Sciences Excellence Fund allows the department to have a direct and immediate impact on UH undergraduate and graduate students, programs, and faculty that are not funded through state support. These funds can be used for faculty and student travel to competitions and conferences, classroom and research equipment, special lectures, and program support. 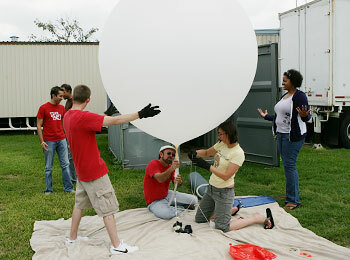 Graduate fellowships provide funds to Master’s or Doctoral students in the Earth and Atmospheric Sciences Department. These students are solving real-world problems in the energy and environmental arena under the tutelage of our faculty. Gifts for graduate fellowships help us to recruit and retain top graduate students — one of our Tier One Initiatives! Our innovative programs and required field camps give our students a distinct advantage over their peers from other institutions. Less than 15% of university geosciences programs have field camps addressing geology and geophysics, and even fewer offer field experiences in environmental sciences. Every student in our program goes to the Yellowstone Bighorn Research Association camp near Red Lodge, Montana, for five weeks. 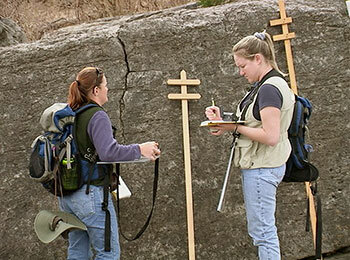 Students from geology, geophysics, and environmental sciences programs get practical experience enhancing their ability to learn how geologic and geophysical problems are addressed in the field. Summer sessions cost from $2,550 to $4,250 depending on the course of study and number of sections a student selects. A $500 gift would help pay for a student’s airfare! Simply select EAS Scholarship Excellence Fund and write “Field Camp Support” in the text box below.